A timely book in today's economy when many people are looking for a way to become their own boss. 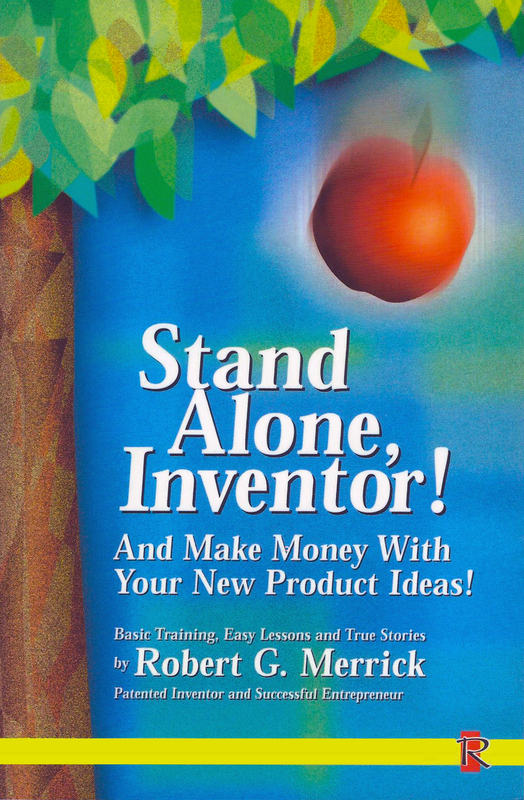 Written by Robert G. Merrick, a successful inventor/entrepreneur who advises the reader not only what to invent but how to get it patented, produced, packaged, publicized, and placed for sale at a profit. A new eBook is available that teaches novice and struggling inventors how to cash in on their brainchild. Titled "Stand Alone, Inventor!" its pages detail how to become an entrepreneur and make money on a new product idea. This is a timely book in today's economy when many people are looking for a way to become their own boss. According to Author/Entrepreneur Robert G. Merrick of Cupertino, CA, his "how-to" eBook covers getting an invention "patented, produced, packaged, publicized, and placed for sale at a profit." Merrick patented six inventions of his own, four of which yielded sales in the millions. In this book he explains the process by which a lone individual can transform an idea into a successful commercial product. Merrick begins the book by touting his "Ten Rules," intended to be used as a checklist to pre-evaluate an idea for an invention. For one, he urges you to think up a simple idea in a field familiar to you. He also wants you to "invent something physically small, that can be patent protected, and that preferably will wear out, go out of date or get used up resulting in repeat sales." For example, Merrick's transparent calendar for the watch dial was a product that went out of date at the end of each year renewing his market with repeat sales. Another repeat-sale product was his Lint Mitt, a disposable lint remover amenity for hotel rooms. He adds, "To have the best chance for an early success, make your first invention a very simple user-friendly product." Sprinkled throughout the book are stories of Merrick's personal experience launching new products, some successful, some not. But he says his successful ones produced hefty profits for many years. He ran his small company for three decades before he sold it and retired. "The big plus", he says, "is being your own boss. It's a nice way to live." The new eBook is a revised and updated version of Merrick's earlier paperback book which is in its sixth printing. The 12-chapter eBook features links to special resources as well as several dozen illustrations including photos, charts and business forms. "Stand Alone, Inventor!" is available through Apple iBooks, http://www.eBooks.com and other sources.